Paris is a fabulous honeymoon destination but if you can’t quite manage a trip to Paris, Montréal should be within reach. The Basilique Notre-Dame could stand in for the Parisian original. In place of the Musée du Louvre the Musée des Beaux-Arts de Montréal could do very well. France boasts many awesome locations for fairytale weddings, but you can have your French-themed wedding anywhere. 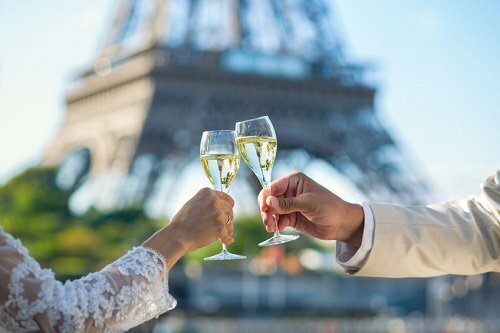 With a proper planning and a good budget, you can perform a luxurious, stylish and romantic wedding Parisians can only dream of. Creativity is your best friend here.